So there you go! Sorted! Just create more good schools and the problem is solved! Why didn’t we think of that?! Why didn’t those teachers, TA, Heads, SLT get this earlier!? They’re meant to be an educated lot. Did they not think that they should be making more of an effort to make their schools good? How silly! Or maybe, just maybe that is what every person in those positions is trying to do but the actual problem is not that schools aren’t trying to be good but actually the grading of schools is causing the problem. Ofsted does not award a grade for the quality of teaching or outcomes in the individual lessons visited. Inspectors do not grade individual lessons. Ofsted does not expect schools to use the Ofsted evaluation schedule to grade teaching or individual lessons. But I say it’s not far enough! STOP GRADING SCHOOLS! I can’t see the benefit of this (apart from making it easier to make a quick yet un-evidenced snap judgement). Am I saying don’t monitor schools? No! Monitor, assess, aid to make better and write a report available to parent but DON’T HAVE SINGLE WORD SUMMARIES! What might happen if this happens? House prices might stay the same, the situation might not change too much but people would actually have to understand the whole picture and MAYBE this might stop people judging schools in quite the same way. As a parent I feel it’s my duty to my children to find out about their school and wouldn’t mind reading thought a report if I needed to. Don’t let parents know! I am not sure if even I am behind this but the benefits could sure be great. Maybe trust that all people want good schools and that teams like OFSTED will make this happen. Go back to sending you children to local schools with the knowledge that even if they do perform badly a yearly school MOT is in place to support, not judge and to aid improvement with good mentors from other good schools. 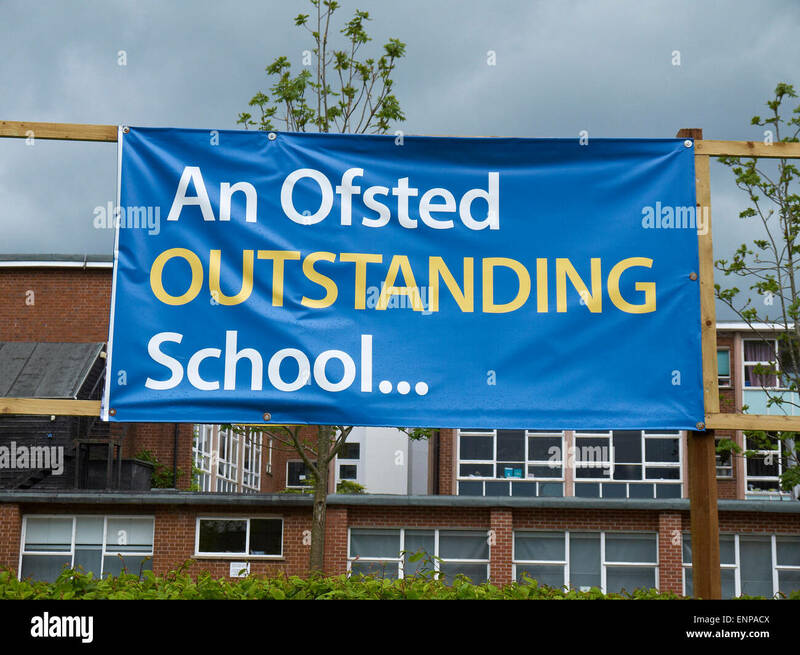 Maybe it is, but you, you SLT and school governors could start the dream by ripping down those grading posters shown across the entrances of schools across the land! If you’re outstanding keep it in your heart and share you knowledge with other schools…don’t shout it out as a marketing ploy…we’re all in it together…right?! Previous postFree Resource 2 – Second Escape Room Task! Next postWe all wasted the summer holiday! – Did you feel the teacher guilt! ?